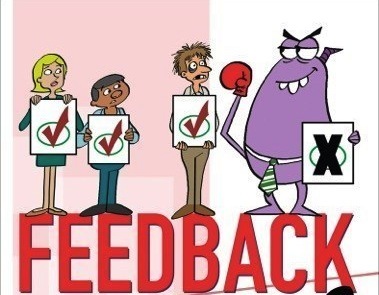 The Retail Feedback Group (RFG) will officially launch a new book entitled “Feedback Rules!” at the National Grocers Association (NGA) Show in Las Vegas (Feb. 28-March 2). Written by RFG Principals Doug Madenberg and Brian Numainville, Feedback Rules covers 52 strategies to use when designing and carrying out a feedback program. Feedback Rules joins other popular titles in the “Rules!” books series published by Brigantine Media. These books focus directly on the standards that foster business success in a variety of fields. Written by experts, the Rules books offer key business insights in an entertaining, easy-to-read format. “Brian and Doug distill their wealth of knowledge on research and feedback down to highly usable nuggets of wisdom in this book,” said Bill Bishop, chief architect of Brick Meets Click. Madenberg and Numainville comprise the leadership team of Retail Feedback Group. Both accomplished and experienced consultants, they have designed and implemented a wide range of consumer surveys, feedback programs and employee assessments for retailers, wholesalers, nonprofits and other organizations. Feedback Rules is now available now at therulesbooks.com or in the Kindle format on Amazon. Quantity discounts are available. Pay per click has become a fundamental website marketing device. have to steer clear of the more-clicks-is-better mentality. Consider transformation and return on the investment, versus ticks, and you can build a profitable campaign.